The most powerful type of discovered attack is the double check. This type of check tends to be very strong because it checks the King with two pieces. 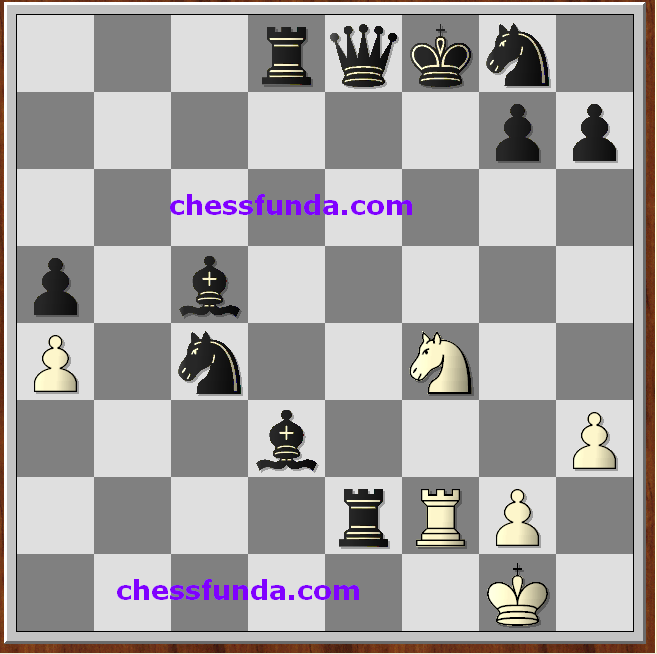 The king is forced to move, and the enemy army is thus frozen for at least one move. 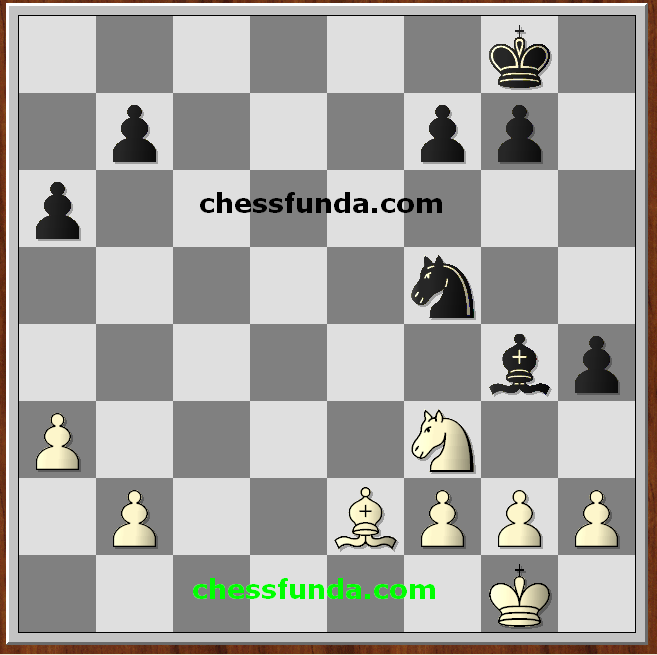 In the above diagram, White is a pawn ahead, but appears to be on the verge of defeat because his Rook in pinned by the Black Bishop. After Black captures White's Rook, Black will be the one with the edge in material. White's Solution to the pin is 1 Bd6++! A doube check. (Don't forget a pinned piece is still able to check!) Black would love to capture the Rook or Bishop, but his King is being attacked by two pieces, and he can't chop off both the offenders at the same time. Black's Best reply is 1 ...Kg8 then 2 Bxc5 breaks the pin and leaves White with an extra piece and pawn. The above diagram is silly but graphic example of a discovered attack turned into a double check. Black is so far ahead in material that one would expect White to give up and do something more enjoyable with his time. 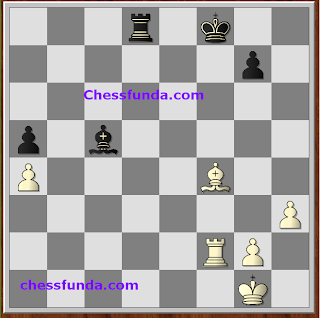 However, instead of resigning, White plays 1Ng6++, and wonder of wonders, the move produces double check and mate! With material even in a boring endgame, this game seems destined for a draw. But tactics can be used in the most innocent settings. 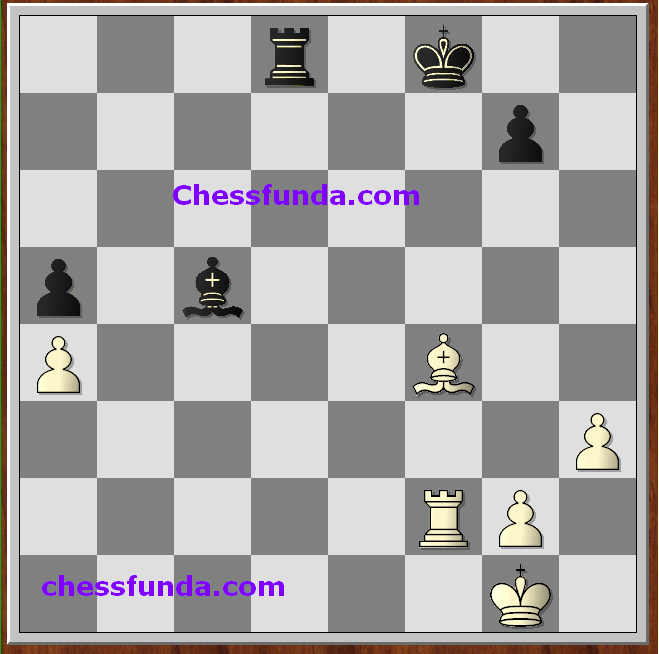 It;s White's turn, can he win material? 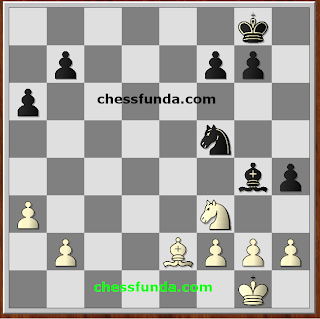 The surprising 1 Nxh4 wins a pawn.